This exclusive beachfront development was completed in 2002 and was designed by Melvin Villaroel Roldan, one of Spain’s most renowned architects. It is the perfect place for people seeking sanctuary, security and refined living. 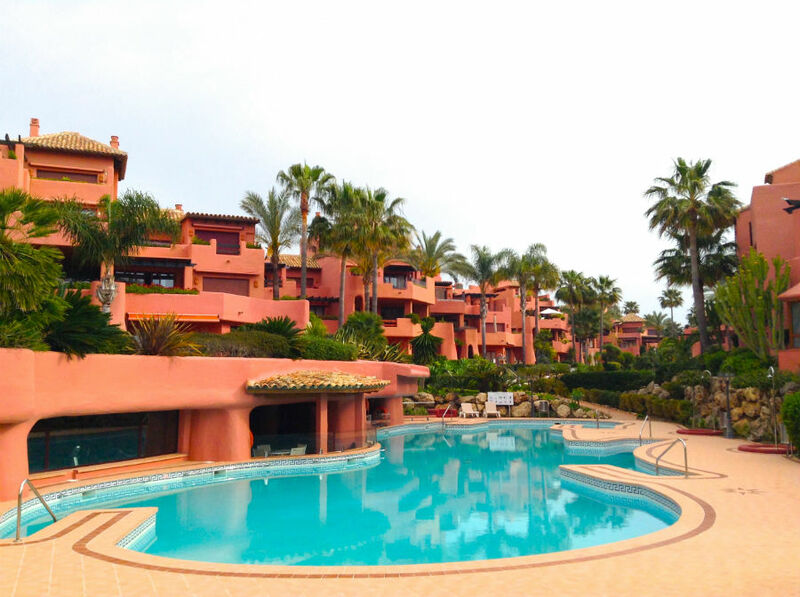 Menara Beach is situated on the new Golden Mile in between Estepona and San Pedro de Alcantara, on the southern half of the Costa del Sol, one of Europe’s most sought after locations. Here the region experiences its own special microclimate where it benefits from mild temperatures throughout the year with warm summers and mild winters, experiencing up to 320 days of sunshine a year. The urbanisation consists of 105 apartments finished to an exceptionally high standard. 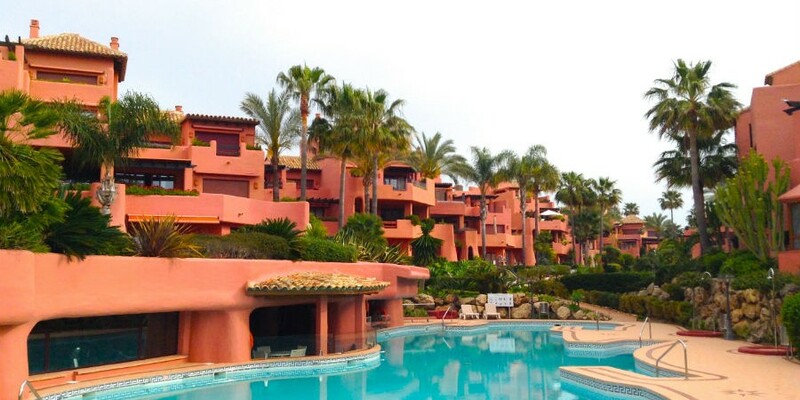 The complex offers beautiful tropical gardens with streams and ponds leading down to the beachfront, where there are breathtaking views of Gibraltar, the African coast and the High Atlas Mountains over the sparkling Mediterranean Sea.